Only a spotless, sinless human being could pay the price for guilty humanity. It would have to be one that was like Adam before sin entered into the world. How was that going to be possible because humanity was under the penalty of sin and death? How was that going to happen if Satan was the "god" of this world? How was the ETERNAL God in Heaven going to get one that never sinned into a planet legally controlled by His enemy? Listen to this podcast and be mightily blessed! 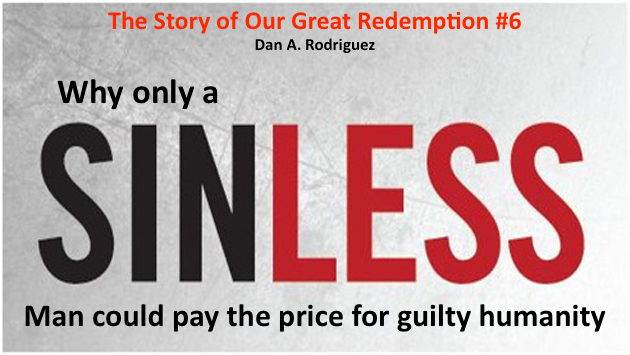 Use this link to get the free published book (in PDF) "The Story of our Great Redemption."